Discover the moments that matter. EuroCARE IVF is committed to providing the best overall experience on the journey to parenthood. We have helped thousands of clients build the family of their dreams. There is no better testament to our work than what our intended parents and new parents have to say about us. What are our clients saying about their experience at our leading fertility center in Cyprus? 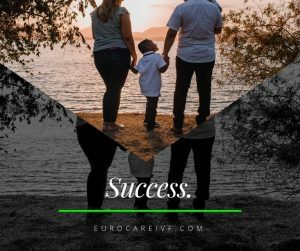 Experience the joys of euroCARE IVF.